THE SILENT COMPANIONS is a haunting read you won’t soon forget with its chilling mystery and Gothic touches of horror. 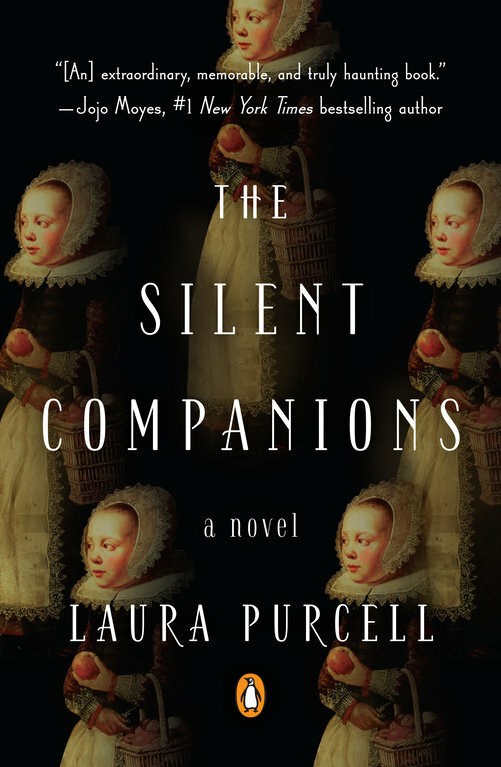 This is the kind of story fans of Gothic literature crave and are going to devour for its original idea using “silent companions” which evoke such an unsettling feeling in its readers. The story is told through two timelines, during 1865 when Elsie first arrives at her late husbands home, and in the year of 1635 during the reign of Charles I of England, when the ancestors of the late Rupert Bainbridge opened their home to the king and queen’s court. When newly widowed Elsie arrives at her late husbands crumbling estate for the first time, she finds an unexpected presence waiting for her and her unborn child. The Bridge, once filled with opulence and wealth, has settled into disrepair while evoking a sense of danger in menace towards its occupants. The moment Elsie opens that forbidden, locked door revealing a painted wooden figure—a silent companion—that bears a striking resemblance to Elsie herself, I was hooked and could not put this book down. Laura Purcell weaves in so many little details, building the mystery layer by layer, crafting an unforgettable Victoria ghost story. She slyly plants seeds of doubt and we can’t help but wonder at the strange and sudden death of Elsie’s husband, the handsome young heir Rupert Bainbridge. The very sanity of Elsie is questionable with Victorian sensibilities making her a possible unreliable narrator, yet…we cannot but feel what she is experiencing is real, and therefore terrifying. THE SILENT COMPANIONS is an exciting offering of Gothic literature infused with vivid period details that delivers a chilling tale of murder and mystery. I would highly recommend this tale to fans of the genre. Atmospheric, haunting, and perfectly chilling—this is definitely one your should be putting on your shelves.